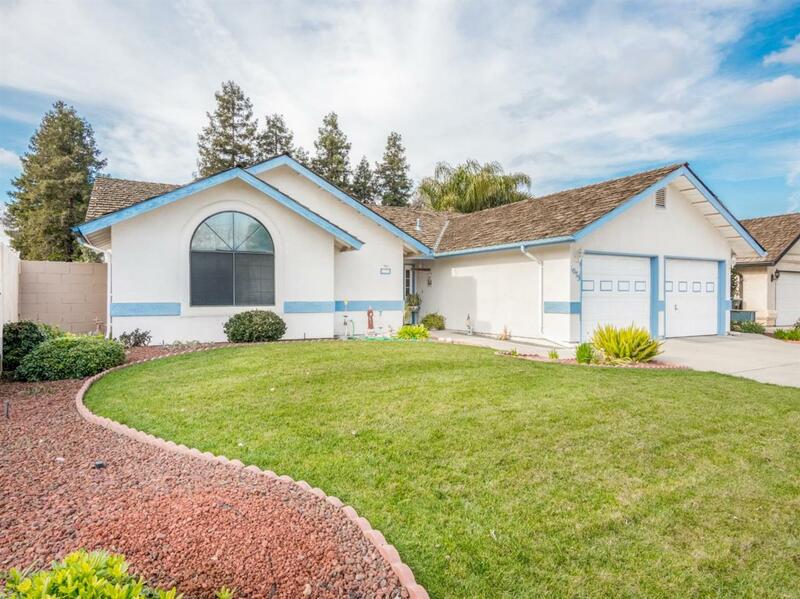 Charming & meticulously maintained 3bed 2bath home in quiet, well-established neighborhood. 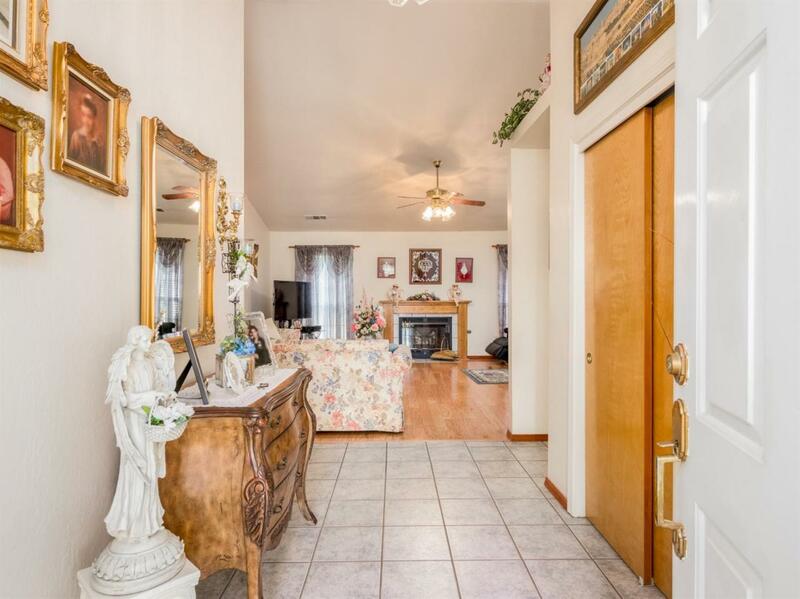 Home presents beautifully with great curb appeal, & mature landscaping. Vaulted ceilings make the entry & living space feel inviting & open, with lots of natural light & a cozy brick fireplace with mantle. Kitchen offers tile counters, tile floors, oak cabinets, bar-stool seating with serving counter, & an abundance of cabinet & counter space. 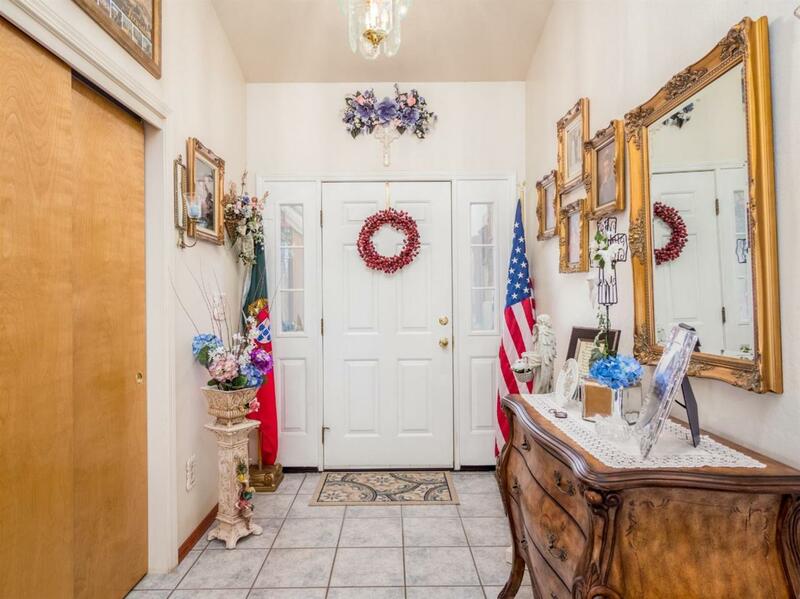 Hallway accesses pantry, & access to indoor utility room with folding space. Dining room has beautiful view of patio area. 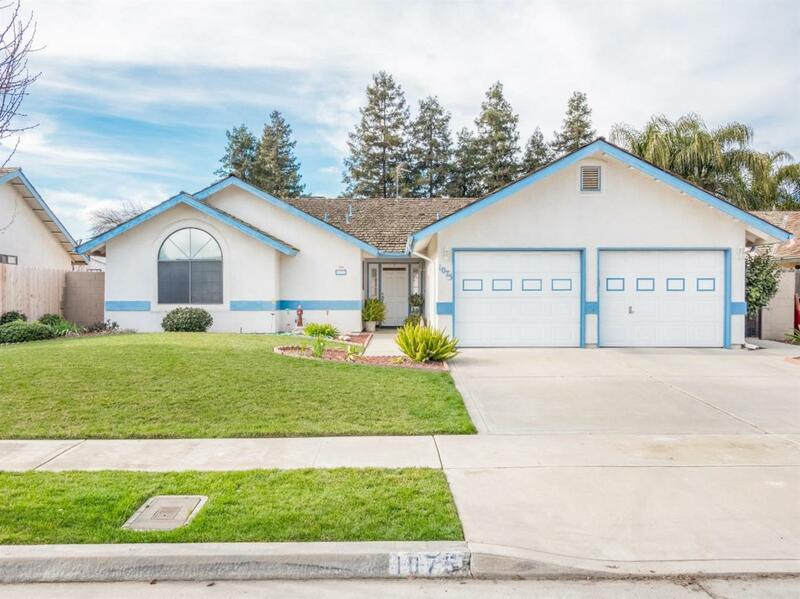 Backyard offers a fenced garden space, grassy area, orange tree, & garden shed. Convenient outdoor sink on side yard makes yard clean up a breeze for garden enthusiasts. Spacious master suite offers dual closets, cathedral ceilings, large bathroom with dual sinks, & large walk-in shower. Secondary bedrooms both have walk in closets. Home has 2-car garage. Please search YouTube for video to discover more!